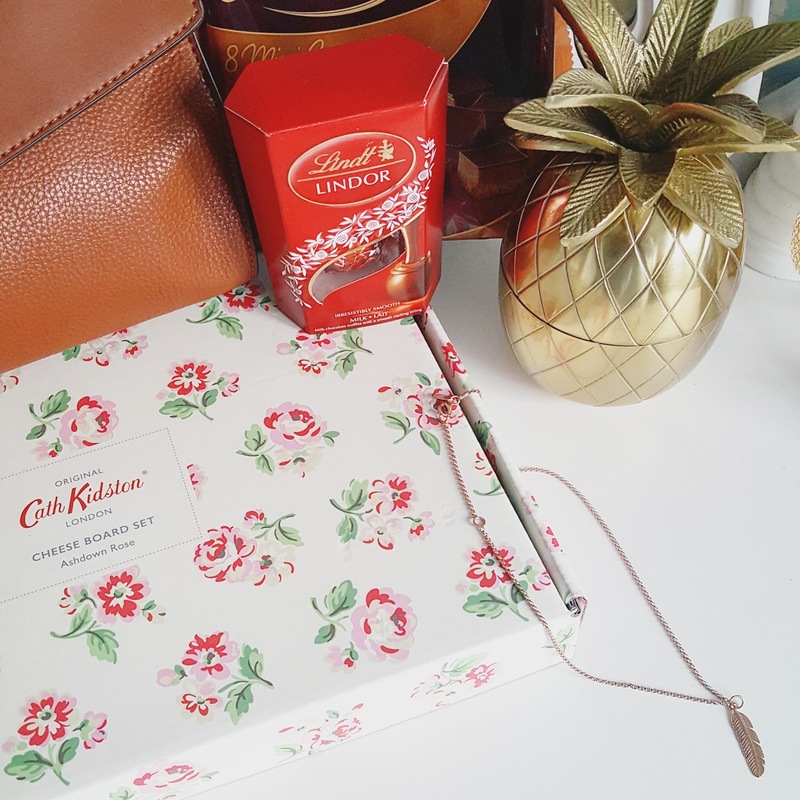 Welcome to my latest ‘Life in Instagram‘ post! 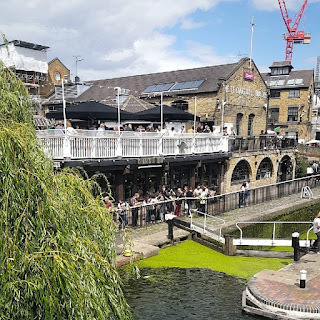 This month, it also includes what I got up to over my birthday! It was my 27th (so old, so sad) birthday on Sunday and therefore I was treated to a few days of celebrations! So here’s what I’ve been up to in July… (make sure you scroll down to see my beautiful new fluffy addition!). 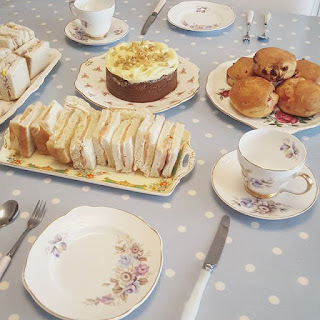 My Mum knows I love afternoon tea, so when I got home from work my Mum had set up a little tea party for me and my family! We had finger sandwiches (salmon and cream cheese.. yum! ), scones with cream and strawberry jam, and carrot cake. Although I was so full up I didn’t actually eat any cake! 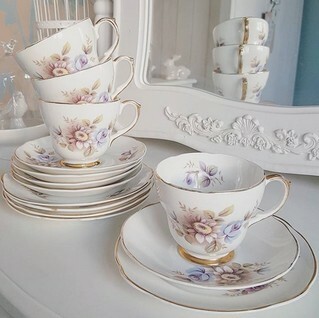 We used my newest tea set which I found in a charity shop for only £6! 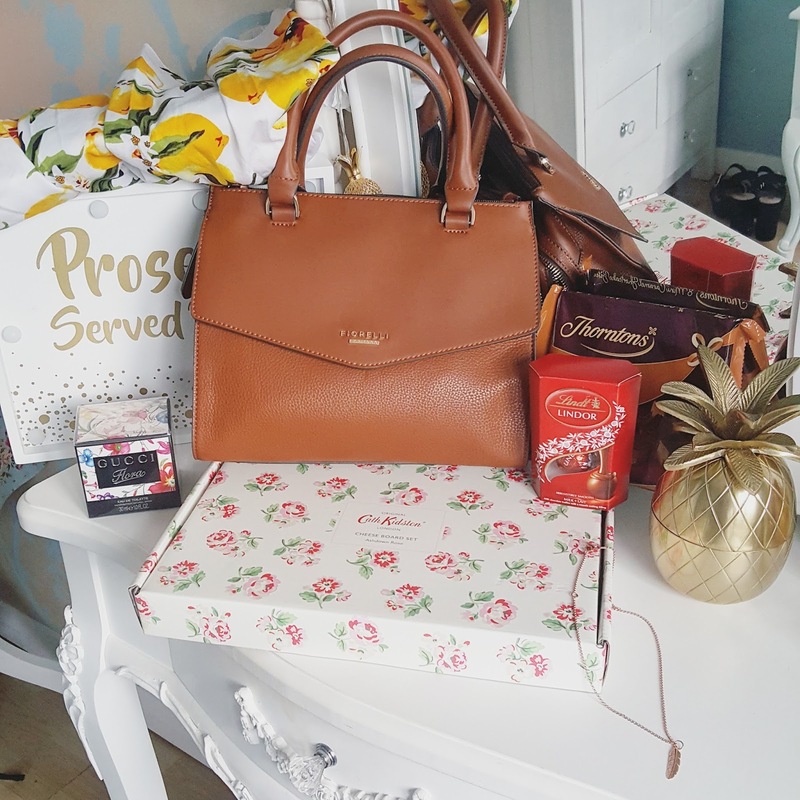 I was very lucky and received almost everything I asked for from the birthday wishlist which I blogged about previously, plus a few extras! Gavin bought me the lemon print dress (which I can’t wait to wear on holiday, it’s beautiful! ), the Fiorelli handbag, the golden pineapple, and he also surprised me with Gucci Flora perfume! 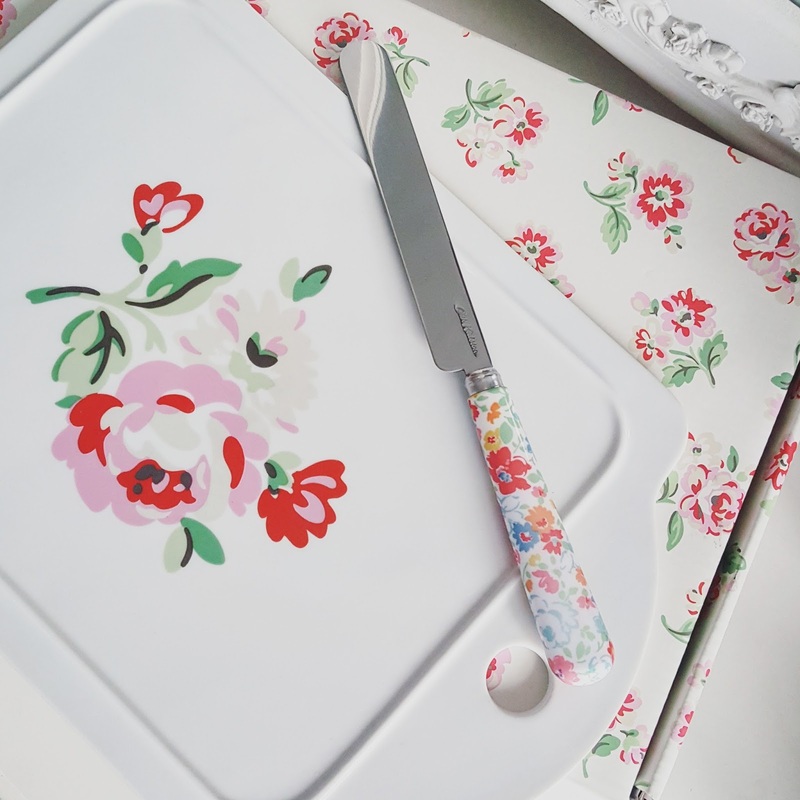 My sister gave me the lovely floral Cath Kidston cheeseboard and knife (she knows how much I like cheese!) and my parents bought me the rose gold Muru necklace. It’s so beautiful and matches my new rose gold anchor bracelet too! 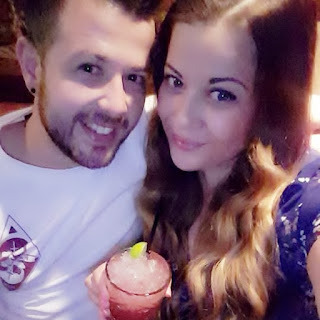 To start off my birthday celebrations, Gavin took me out for dinner in Hitchin where I had a delicious burger and then cocktails. On my actual birthday we got the train into London and went to London Zoo which was lots of fun. If you haven’t been to the zoo before, I highly recommend it for a nice day out. 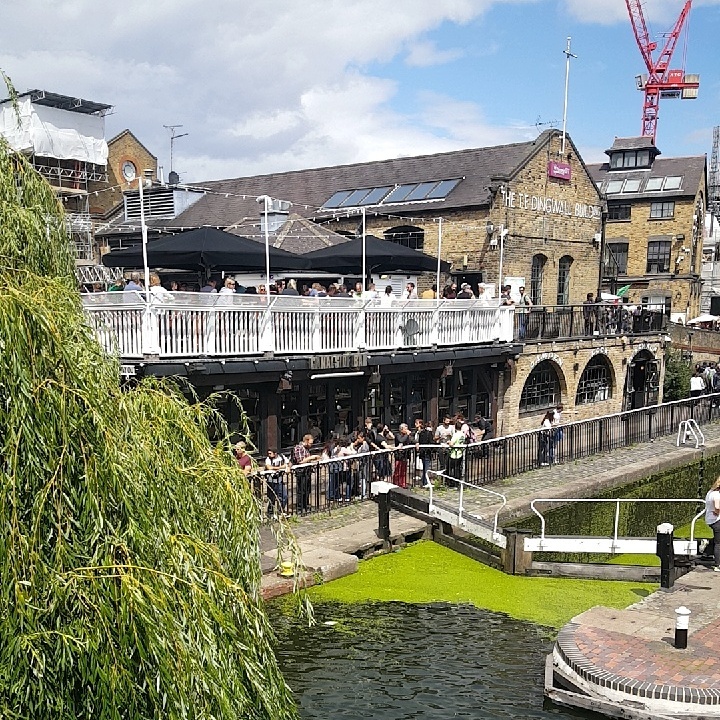 We also walked around Camden and stopped off for a drink. We were really lucky because the weather forecast was looking pretty miserable, but we managed to avoid the rain all day! I couldn’t decide where I wanted to go for dinner, an in the end I picked my favourite chain restaurant Cafe Rouge in Covent Garden! You just can’t beat their delicious starters (I chose Camembert, my absolute favourite!) 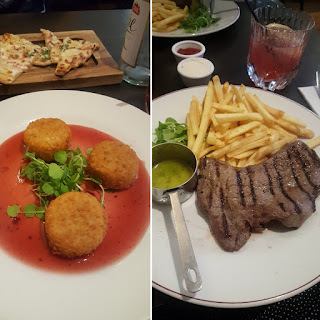 and tasty steaks washed down with one of their fruity summer cocktails. 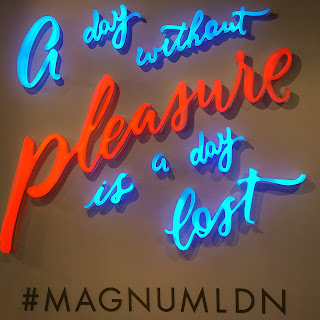 For dessert, I was extremely excited to visit the Magnum Pleasure Store in Seven Dials! 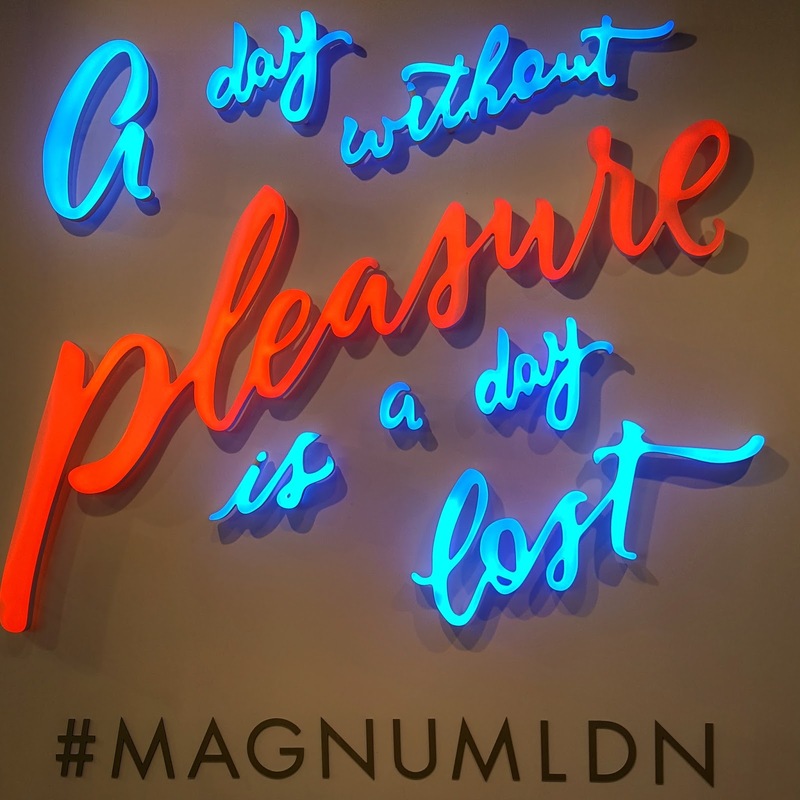 It’s a pop-up store that’s opened just for the summer in partnership with Moschino. Basically, you pick what flavour chocolate you would like your ice cream coated in, along with 3 toppings and a drizzle. You then get to watch the experts create your dream ice cream in front of your eyes including them dipping the ice cream into a big vat of melted chocolate. Mmm. Be warned.. you do have to queue up for a while! But most evenings it’s open until late, although we went late on a Sunday afternoon and had to queue for 30 minutes. 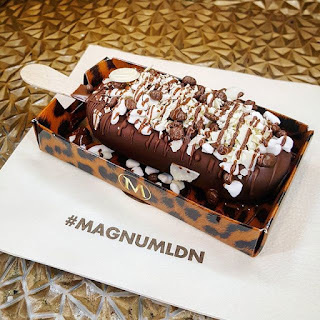 It’s a little bit expensive, as it’s £5.50 for a single dipped ice cream which is obviously much more than your standard Magnum, but it’s a real treat getting to pick your toppings and then watching it be created. It’s a fun once in a lifetime thing to try! And it was absolutely delicious. I chose original milk chocolate topped with crushed meringue, chocolate coated honeycomb and white chocolate flakes. Yum! Everyone, say hello to Marshall! 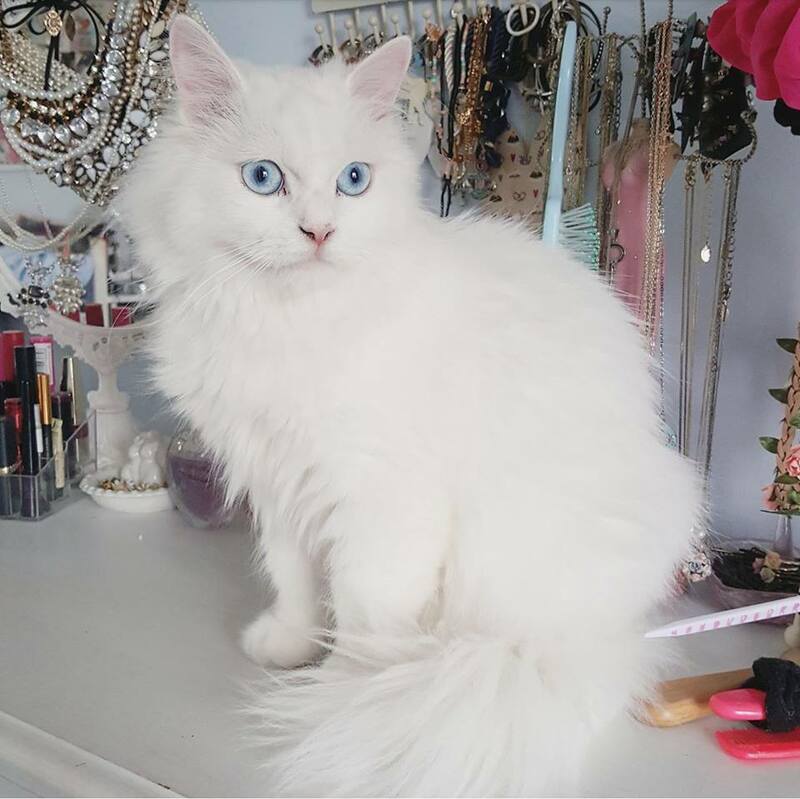 He is my new very beautiful fluffy Persian kitty! I got him from a cat rescue centre after he was rescued in Malta and flown over to the UK. I’m half Maltese myself and wanted to give him a better life after he had already been rehomed but then returned back to the centre for being “too lively”. He is adorable and a big softy and is settling in just fine! Well.. he is a little bit naughty. He’s very vocal, which I’m not sure he realises because he is deaf! And he does enjoy knocking everything he finds off of any surface, but mostly he’s a little cutie! Although there’s still a friendship to be made with Merlin (my ragdoll cat). They now seem to be tolerating each other but Marshall seems to want to play, and Merlin gets annoyed and paws him in the face a bit! Also.. I named him after Marshall Mathers. My love for Eminem never ends! 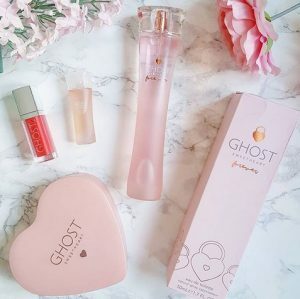 I recently got to try out the new Ghost Sweetheart Forever perfume which I was interested to try as I was a big fan of the original Ghost perfume when I was younger. I’m actually really impressed with it and I have been using it as a daily perfume for work! It smells very much like the Armani Si perfume and is great for day time wear. 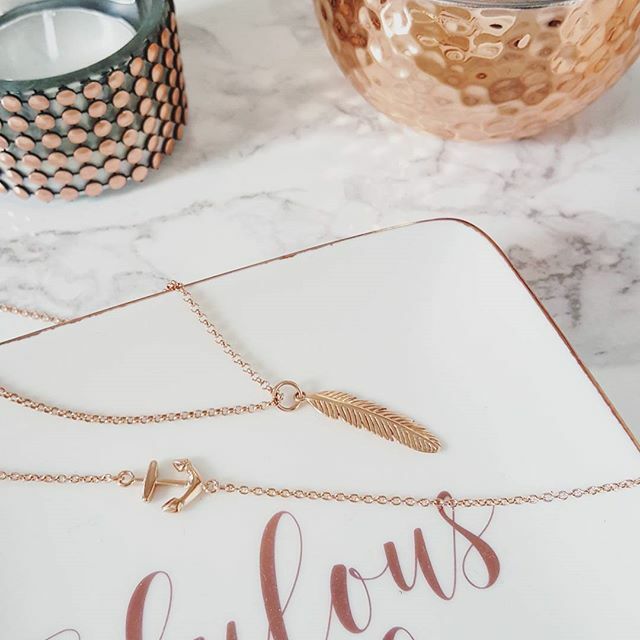 My marble/copper/pineapple homeware obsession is forever ongoing! 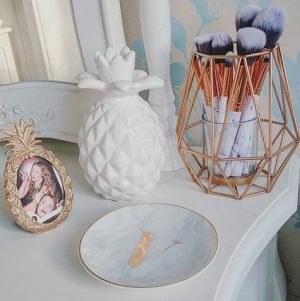 Gavin recently bought me this funky geometric wire gold tealight holder, but it’s actually turned out to be perfect to use as a make up brush holder! 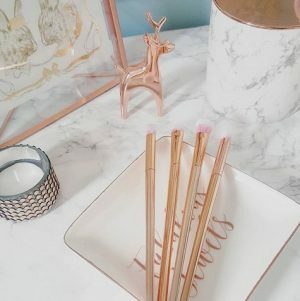 I actually bought these new marble and rose gold brushes from Ali Express for only £3.50.. bargain! 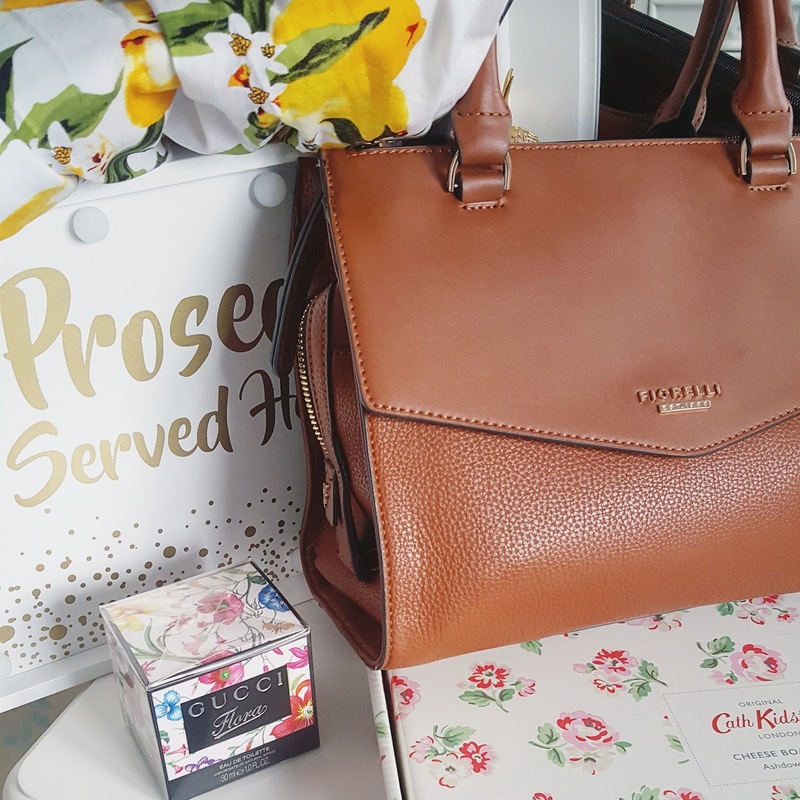 I went thrift shopping at the weekend and picked up some gorgeous new bits for my flat! I bought the blue glass bowl from a charity shop for only £2.50 and I plan on using it as a fruit bowl. I haven’t been able to find a fruit bowl in the shops anywhere?! 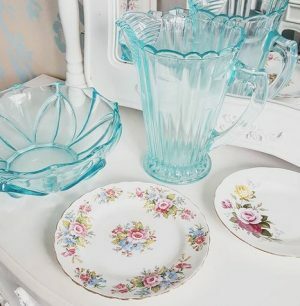 I also picked up an almost matching vintage glass jug from a little antique shop for only £2.75. It’s really sturdy and a gorgeous colour! From the same shop I also bought the floral plates for 35p each! I’m going to use them as part of my plate wall! 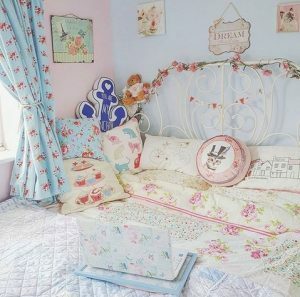 I also finally got round to tidying up my bedroom recently! I have hardly been at home lately and my room just became a bomb site of clothes and stuff lying all over the place. It makes such a difference tidying up and putting clean bedding on! Much cosier. I bought this set of four rose gold brushes also from Ali Express for only £1.37! I am still absolutely obsessed with Ali Express! They’re actually really good brushes too. 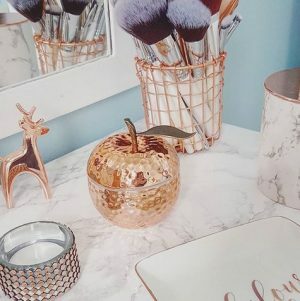 To make my little pretty area complete, I also bought this gorgeous copper apple candle from Primark for £3.50. Isn’t it cute?! 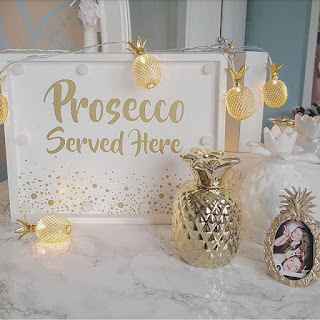 If you want to find out how I made my marble topped table, check out my previous DIY blog post. That Magnum looks amazing!! I have always wanted to go to London Zoo, what a great birthday trip! 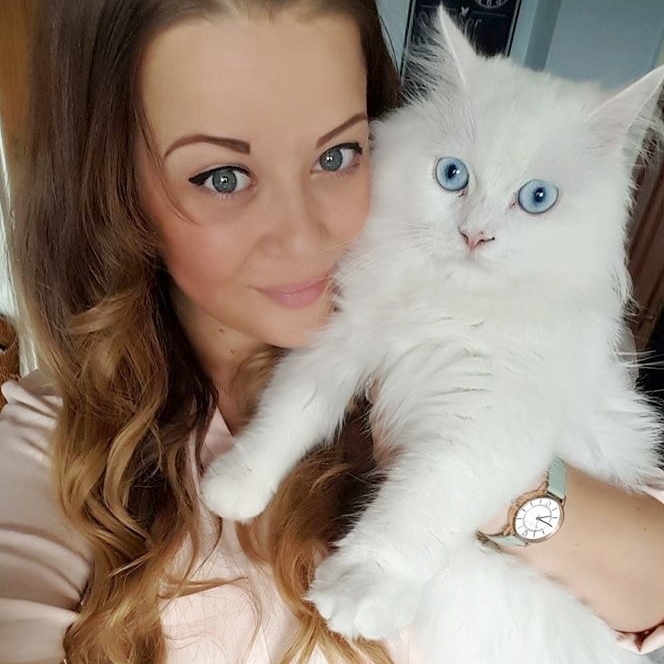 Aw beautiful kitty. We are planning on naming out next cat after Eminem too!